Sharing promising practices for advancing immigrant education program and policies. Partnering with other community colleges and organizations to create programs that enhance immigrant students’ career opportunities. Presenting at national and state conferences to raise the visibility of their colleges’ immigrant education programs and share their expertise with others. Serving as advocates, articulating the reasons that immigrant education is essential to ensure that our communities thrive socially and economically. Participating as ambassadors to professional associations, conveying their expertise in and enthusiasm for immigrant education. 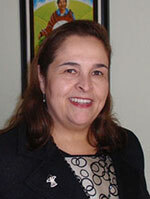 Teresita (Tere) Wisell serves as Vice President of Workforce Development and Community Education (WDCE). The Division houses programs and services that support workforce development and lifelong learning for the diverse population of the college’s service area. Programs include ESL, public workforce training programs, and employee training. 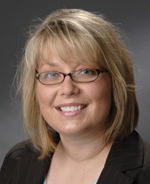 Jill Casner-Lotto, Director of the Community College Consortium, is a writer and research analyst with over 25 years’ experience in workforce development topics, including various human resources and labor-management issues. 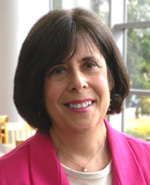 Her most recent work with Westchester Community College and Norwalk Community College included a regional gaps and needs analysis on the employment and educational opportunities for working-age adults and young people with disabilities. 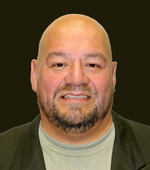 After working for 15 years in the chemical industry, Juan Carlos Aguirre joined South Texas College in 1997 as a Training Specialist for the Partnership for Business and Industry Training department, where he became Director in 1999. 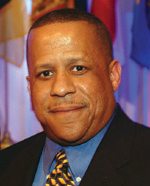 Senior Program Associate for Diversity, Inclusion, and Equity, American Association of Community Colleges, Washington, D.C.
Kevin A. Christian serves as the Senior Program Associate for Access and Inclusion for the American Association of Community Colleges. In his role at AACC, he is the staff liaison for the AACC Commission on Diversity, Inclusion and Equity. 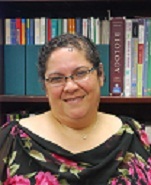 Maria del Carmen De Luna-Jones is the district-wide point of contact in serving immigrant students for the Alamo Colleges. She has served with the Alamo Colleges for over 25 years in various student support and workforce development positions. 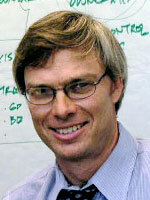 Paul Downs is a strategy and organizational consultant for public and social sector entities. Paul holds a Master’s degree in public policy from Princeton University and a Bachelor’s in Sociology from UC Berkeley. 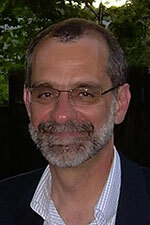 Paul Feltman works closely with community-based organizations, government agencies, academic institutions, employers, and policy makers and makes frequent presentations on issues related to immigrant integration and credential recognition at professional conferences, workshops and public forums. 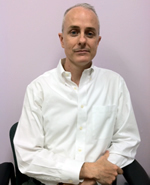 Since joining the faculty of the Humanities Division in 2005, Dr. Jim Fenton has served as the ESL and English Area Coordinator, scheduling college classes for immigrants and freshman students, and advocating for expanded educational opportunities for immigrants and refugees. 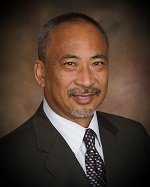 Henry Gee is in his 34th year in higher education, and his ninth year as the Vice President of Student Services at Rio Hondo College in Whittier CA. Prior to that, he served for 10 years as the Dean of Student Affairs at Santa Ana College and 15 years at Azusa Pacific University in various capacities. Dr. Elizabeth P. (Beth) Harper has responsibility for the central records office, financial aid, international student services, disability support services, military outreach and support services, and student behavior and mental health issues. 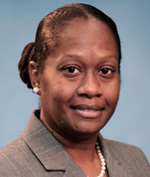 Malou C. Harrison is the Interim President of Miami Dade College’s North Campus, the College’s first location that opened in 1960, and also oversees MDC West, the institution’s newest campus. She has served MDC in various capacities since 1989, including as dean of students, chief of staff to the College president and adjunct professor of English. 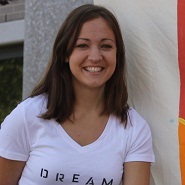 Since 2005, Erin Howard has served as the Latino Outreach and Services Coordinator for Bluegrass Community and Technical College. She earned a Master’s of Arts in Spanish from the University of Tennessee and completed her Bachelor’s Degree in Spanish from Tennessee Technological College. John has been managing EL civics, family literacy, immigrant parent engagement and vocational ESOL programs at LaGuardia for the past 8 years. He previously taught ESOL in Japan's public school system and then in Spain and New York with International House. Jon Kerr recently joined the Washington State Board for Community and Technical Colleges after his tenure as the Dean of Instructional Programs and Library Director at Lower Columbia College in Washington State. 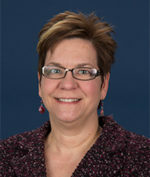 Dr. Kinerney provides administrative and instructional leadership for grant-funded adult education programs, including the Adult ESOL & Literacy – GED Program and Refugee Training Programs, which provide approximately 12,000 seats to learners in need of English language and/or literacy skills development. 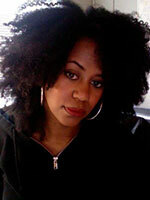 For the past 10 years has been an adjunct professor of Sociology Center at Palm Beach State College. In the 1990s she established the “Amigos de por Vida-Friends for Life” Pk-5 public charter school in Houston. Co-Director, National Center on Immigrant Integration Policy, Migration Policy Institute, Washington, D.C.
Ms. McHugh served for 15 years as the executive director of The New York Immigration Coalition, an umbrella organization for over 150 groups in New York that uses research, policy development, and community mobilization efforts to achieve landmark integration policy and program initiatives. Israel Mendoza is a native of Washington, born in Yakima, and the third oldest of eleven children in a farm worker family. He worked for Cesar Chavez and the United Farm workers Union in Seattle, Washington and Dallas, Texas. Julie Pitts has worked with international and immigrant issues in residential life, counseling, academic advising, programming and immigration advising in both two and four year institutions. She is currently the Director of the Intercultural Center at Johnson County Community College, an office she was responsible for developing and implementing. Alamo I-BEST is an initiative that provides training and employment assistance to workers and students who require basic skill development in order to succeed in technical training. Through grant writing and braided funding, based on the Accelerate Texas model, Melissa has created the system of program delivery. Regina has dedicated her career to adult basic education. She currently leads multiple district-wide programs including all Arizona Department of Education funded Adult Basic Education, Adult Secondary, and English Language Acquisition for Adults. For the prior eight years, he served as Highline’s dean of instruction for transfer and pre-college education. To serve its large immigrant community, Highline enrolls over 5,000 adults annually in English as a Second Language — the largest cohort of any community college in Washington. Heide Spruck Wrigley is a highly respected literacy practitioner and researcher from the US, well known for her work on English language as well as literacy. Dr. Wrigley is Senior Researcher for Language, Literacy and Learning with Literacywork International. 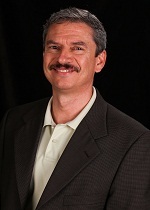 Dr. Federico Zaragoza has been the Vice Chancellor of Economic and Workforce Development at the Alamo Community College District (ACCD) since 2004. Under his leadership, ACCD received the prestigious American Association of Community College Trustees’ 2005 National Workforce Excellence Award.